The Best of IMM Cologne 2019: The new calendar year marks the beginning of the January design fairs, which kicked off in Europe with IMM Cologne (14-20 January). Another year, another great edition of IMM took place in Germany. Bringing the best trends of interior design, this fair is on top of international trade shows for the interior design professionals and visitors from all over the world. A total of 150,000 visitors – including estimates for the final day of the events – made their way to Cologne to be inspired by the interior design worlds and kitchen showcases on display. With 52 per cent of trade visitors coming from abroad, the co-located events achieved an even greater global reach than ever before. Overall, more than one in two trade visitors travelled from abroad to attend the events. The visitors came from 145 countries. This event provides and overview of the international world of interior design. That’s why some luxury brands like Maison Valentina, Delightfull and Essential Home were present. “We want to be on top of mind for all the interior designers and professionals of bath projects and we believe that our presence in this type of event is crucial”, says Sérgio Oliveira, Sales Manager. Maison Valentina combines luxury design while offering functionality to one of the most important spaces of any project, and this participation on Cologne showed exactly this: a stand together with BRABBU and Boca do Lobo, both partner brands from Covet Group, where luxury, design and craftsmanship are the main details. Each year the fair invites an international emerging talent to create their ideal living environment in a 180 sq m space at the fairground. In 2018 they appointed Czech designer Lucie Koldová, and this year they enlisted Australian duo Truly Truly. The Rotterdam-based team map out a vision of experimental contemporary living, ‘the space that we’re developing for “Das Haus” will be unfamiliar yet inviting at the same time – a balance between abstraction and warmth’, explain the studio founders Kate and Joel Booy. The designers Kate and Joel Booy are into functional furniture and nature, so they chose material as well as plants as dividers for the space. The greenery has the added bonus of improving the air quality. Kitchen manufacturers flock to the Cologne fair every two years for the “Living Kitchen” exhibits. Peter Sorg’s compact kitchen won this year’s “Pure Talents Contest.” He designed a unique compact space for preparing a meal, doing the dishes and cooking — a smooth surface that is easy to clean afterwards. This tradeshow also provides an effective platform for up-and-coming designers. 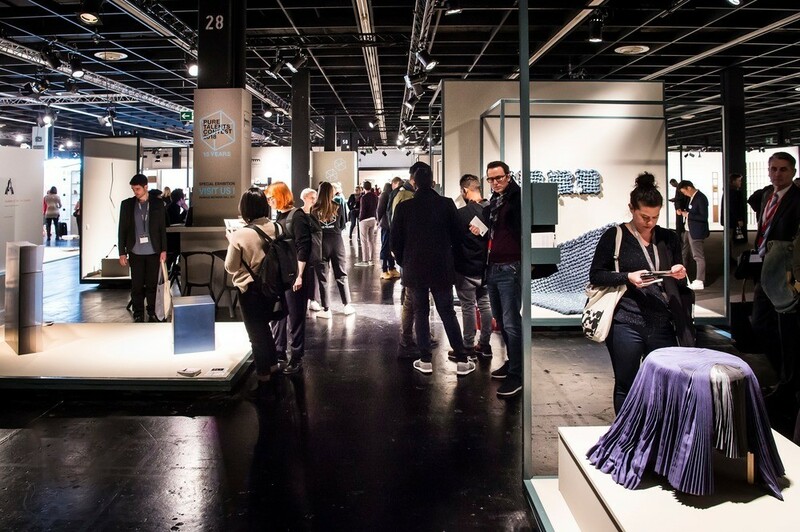 The hosting of the Pure Talents Contest at IMM Cologne 2019 marked the sixteenth year for one of the most internationally renowned design competitions for young designers – the starting point for a successful design career for many of the chosen participants.